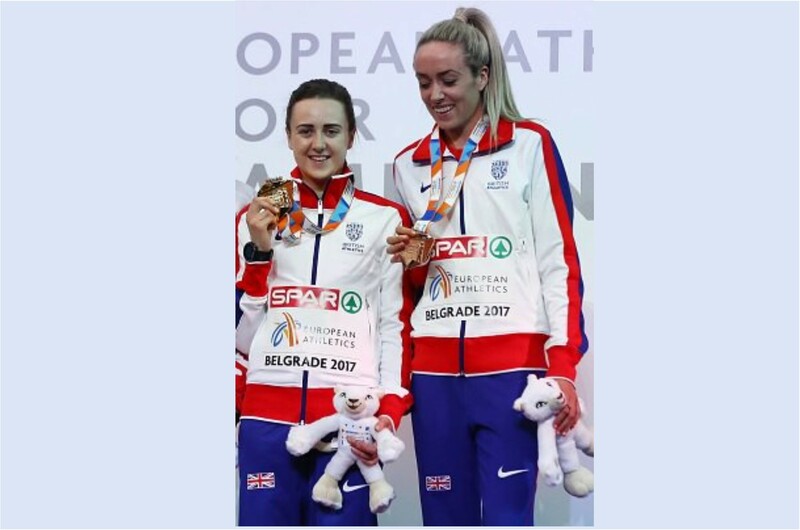 Eilish McColgan enjoyed a terrific 2017 which included a series of Personal Best performances and a bronze medal at the European Indoors in Belgrade over 3000m. 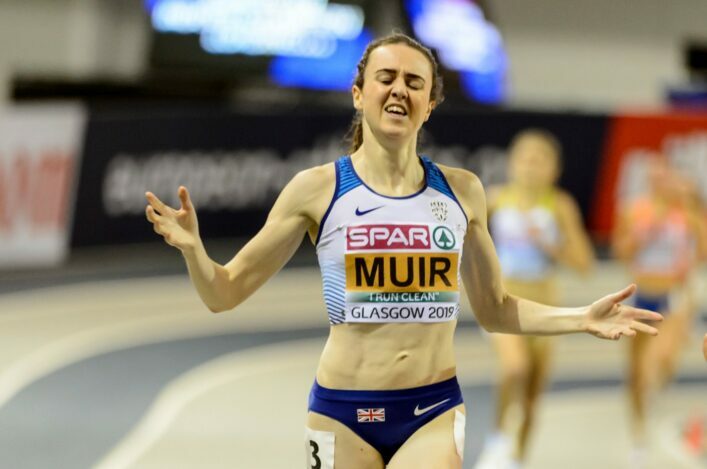 A 10th place finish in the World Champs at London 2017 over 5000m was then followed by a Scottish National Record for the distance and the year ended with a British Breakthrough award from Athletics Weekly. 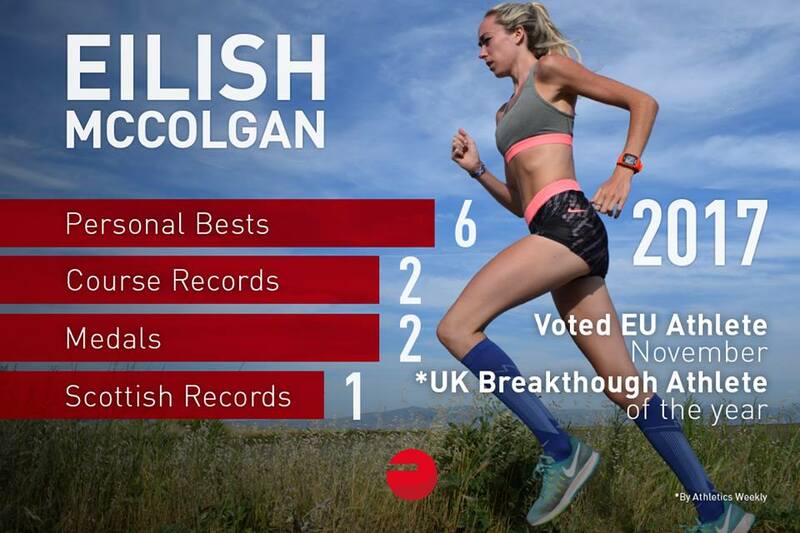 In a special interview with Euan Crumley of Athletics Weekly, Eilish reflected on her incredible year after switching to flat races from the steeplechase and looked ahead . 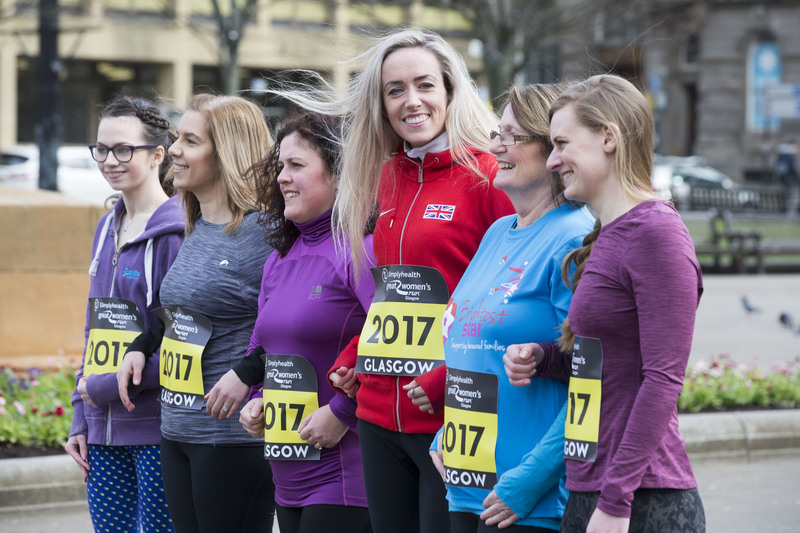 . .
‘It was difficult initially because I was so used to reserving that little bit of energy to make sure that I could get over the barriers,’ said Eilish. ‘My one biggest fear in the steeplechase was not being able to get over that last water jump because you’ve run out of energy. Every steeplechase athlete is like that – you pace yourself to make sure you can get through the entire race because it is such a gruelling event. ‘So switching to the 5km was really difficult because I’d got this set pace into my head and then I’d get to the final stages feeling like I had all this energy in reserve and I kept finishing quite strongly. It would drive my mum and dad crazy but I couldn’t help it, it was a habit I’d got into through doing the steeplechase. ‘But I remember Monaco was the real turning point for me. Emotionally it had been quite an up and down few months, with tearing my calf and then tearing my hamstring. ‘I’d managed to get myself back running again finally, training had been going even better than before and I actually felt that having a bit of forced rest was a bit of a blessing in disguise. I had a bit of a second wind and came back training really well. McColgan’s mother and coach, Liz, had been proved right. The former world champion and Olympic silver medallist had continually insisted to her daughter that it would take just one race to bring a crucial breakthrough that would start to change everything. That ‘huge PB’ also represented another distance over which daughter was now faster than her rather more decorated mother was in her prime. The work the pair are doing together, with a little help from a few friends, is clearly effective and Eilish is delighted with the support team she finds herself surrounded by. It has taken a bit of work for things to start falling into place, however. ‘Obviously it’s brilliant to have my mum as my main coach, but she also has brilliant knowledge from her husband John Nuttall – who was also a very, very good runner in his own right,’ says McColgan. ‘Then I’m also very fortunate to have Michael (partner and three-time Olympian Michael Rimmer), who has all of his experience as an athlete, while my dad was also a professional athlete so I feel like I’m really spoiled with the information I get from these people. ‘It’s taken a little while to adapt because Mum moved out to Qatar and that was a huge change for me. It took quite a while for it to settle down and obviously my parents had quite a big, messy divorce so it’s taken a while for things to calm and fit into place again. 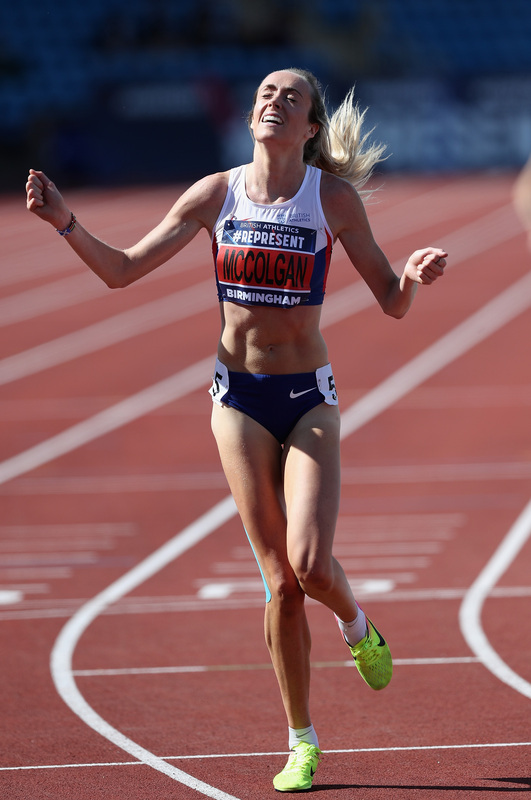 That process of regular feedback and communication has brought with it a change in training habits for McColgan. Having decided to focus on what works for her, rather than pay too much attention to the approaches taken by other athletes, the results have started to come. ‘This year there has been a huge change in my training in the sense that I cut my mileage right down,’ she says. ‘I only run 40-45 miles a week and everything else I do is just on a cross trainer or a spin bike. ‘It’s quite an unusual way to train and I think in the past I’ve looked at what other people were doing and thought, ‘this isn’t the right way to train, these girls are doing this high mileage so I need to do that’ but this is the first year where we’ve really just concentrated on myself and gone ‘right, this is unusual but it seems to work for me so let’s just roll with it’. Now comes the task of trying to follow it up. Next year represents a unique and intriguing challenge given the early April scheduling of the Gold Coast Commonwealth Games, then the European Championships in August. Throw in the World Indoors in March and there is no shortage of targets to aim for. 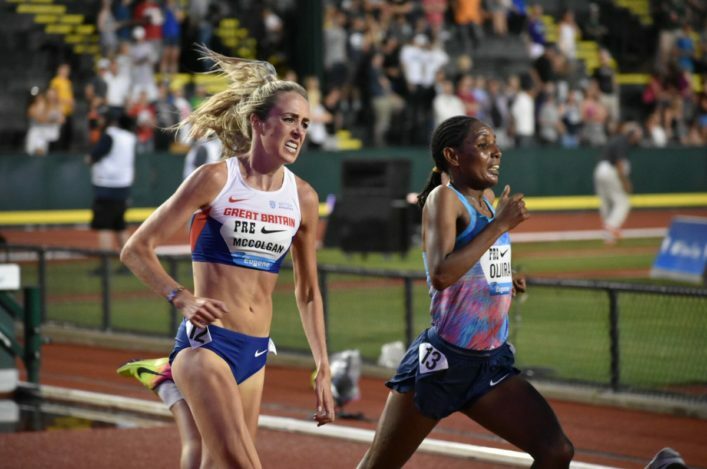 McColgan headed for a winter training stint in Kenya with an open mind and, if she is running well, may well compete in Birmingham before heading out to Australia. No matter how her schedule unfolds, however, her increasing confidence levels mean it’s not just new personal bests which will be in her mind when she takes to the start line in major competition in 2018. ‘I’ve never been one to focus on medals, maybe because I’ve been so far away from them,’ she insists. ‘Even as a kid I always used to focus on running a PB, that was my aim. I have never been someone who has dreamed of winning an Olympic medal – I just love running and wanting to see how fast I could go. It’s getting to the point now, though, where I’ve realised I am getting quite close to the medals. ‘I feel like a medal is definitely within my reach for the Commonwealths and Europeans. I think for the Gold Coast the gold is wrapped up for Hellen Obiri but I think there will be quite a big scrap on for silver and bronze, which is exciting, and I feel like I should be a part of that.